Chaten Tim from App Advice decided to test performance of the application iMovie and got quite surprising results. 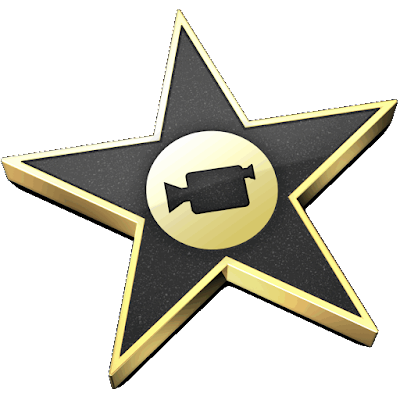 It turns out that if you are looking for a good and fast workstation for video processing "in the field, it simply must pay attention to iMovie to iOS, designed specifically for the latest generation iPad 2. Tim wanted to see how the work mobile iMovie handles mounted in apple tablet dual-processor Apple A5, as well as to compare the performance of this program with desktop applications for Mac OS X, which he ran on different machines Mac. For their tests, he took a set of files, went to the nearest retail Apple Store and had similar tests on all drainage computer models, except for Mac mini. And the results surprised all of his expectations. In the first trial, Tim pinpoint how many minutes will take up a two-minute test clip, shot on the fourth-generation iPod touch, for each selected for testing apple device. Became the winner of the iPad 2 coped with the task in just 25.5 seconds, but the "intergalactic Mac Pro took 56.5 seconds on it. The second test is to change the encoding speed is the raw video clips in 720p. Again iPad 2 surpassed the rest of the large family of Apple products with the result in 1 minute and 56 seconds, just 3 seconds ahead of the iPhone 4. Time of the fastest and ultraportable Mac Pro was 2 minutes and 15 seconds, while most 17" MacBook Pro cope with the task in 2 minutes and 20 seconds. Naturally, the third test was the most difficult one. Tim has worked well over the video in all versions of iMovie, added background music, captions and a variety of images in the beginning and end of the roller. Of course, with coding at 720p a roller processed most quickly mastered "the older brothers iPad 2: The clear winner was the 17 "MacBook Pro with a score of 1 minute and 48 seconds, the second place finish Mac Pro (2 minutes exactly), and now perform this operation on the second generation apple tablet took a little more time - 2 minutes and 5 seconds. Of course, there are some important nuances also.